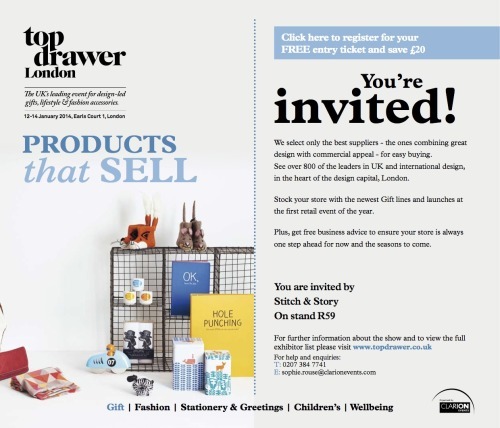 Calling all gift shops, curators, bloggers and retailers: Our first trade show is nearly upon us and we’re quite excited! We’ve got a few great stand ideas and our preparations are well underway. If you’d like to book an appointment to see us, please get in touch: hello[at] stitchandstory[dot]com. If you are a trader and would like to visit the show for free, get in touch and we’ll be more than happy to send you free tickets to the show.